There is no arguing that the world has turned mobile. I believe that it is time for application developers to adopt a mobile-first mentality. In this post I’m going to outline what I believe that means, and how Zend intends to help developers and companies make mobile first a reality. A mobile first approach is essential as mobile devices (including tablets) are quickly becoming the most popular access point for online interactions. A mobile-first mindset focuses on delivering a strong contextual and personalized experience. It embraces touch, puts the user experience at the center and sets apps up to reach 100% of the mobile audience. One of the most critical design principles of mobile first is that context is essential to today’s application development. In today’s mobile-first era, consumers, employees and partners want to take action in real time and base their decisions on the best actionable personalized information. Businesses want to engage customers in real time, because companies know that their ability to influence behavior increases significantly if they can meet their users in context. That context may include location, social graph, user profile and many other data points. For example, offers for a mortgage or car loan are most effective when delivered to a consumer at the exact point they are house or car shopping. We believe the best architecture to support a mobile first paradigm is a REST/JSON-based, API-centric cloud services approach. The brain of the application sits on the server side and pulls together a variety of data sources which build the context and personalization for the app. PHP is ideally suited for this, as it has strong interoperability into existing enterprise systems and social platforms. PHP is also highly productive, and enables the agile development approach required to deliver iterative application value – a key requirement for user-centric development. In mobile-first architectures, the cloud becomes the preferred delivery vehicle. The unpredictability of scale and latency in the mobile world require application platforms that can scale up and scale down on demand. In addition, the user-driven and iterative design approach of a mobile-first paradigm puts increased pressure on organizations to implement agile operations that enable them to frequently and incrementally deploy updated mobile apps. Cloud automation and application platforms best enable agile delivery and operations. Finally, contextual applications will access an increasing amount of SaaS applications and social platforms. The need for the integration of a variety of public cloud services will drive the runtime platforms into the cloud. We already see this trend emerging with cloud-based offerings by a variety of integration players. On the front end, the experience needs to be tailored to the mobile device’s form factor and its native interaction paradigm. To enable a great user experience, the UI logic needs to move from the server side to the client side. 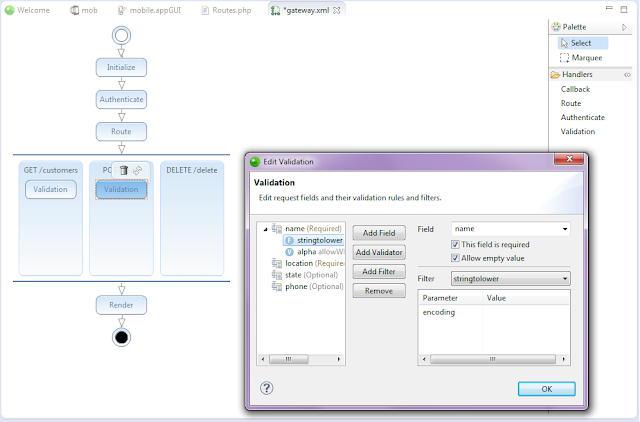 The client-side UI logic focuses on delivering the right interaction paradigm while communicating with the server side for data access and processing via REST/JSON calls. Mobile and cloud are increasingly interlinked and co-dependent. Market-wise, looking at the IT vendor landscape, there are companies that have made great progress in enabling mobile client development solutions; others have made significant progress in enabling the delivery of cloud services at scale. I believe many are making the mistake of seeing cloud and mobile as separate and their strategies reflect that. Others get that the two should work together, but these companies are too big to truly deliver a holistic solution; in such organizations, artificial org chart boundaries exist between end user computing and data center groups. At Zend, we believe mobile and cloud are so interdependent that vendors who address one and not the other leave their customers short. We are stepping up to the challenge and are delivering on an end-to-end solution to make it easier to build these next generation cloud-connected mobile applications. In Zend Studio, we enable customers to visually assemble cloud services (a.k.a. APIs). The visual tooling is built on Zend Server Gateway, an API gateway. Zend Server Gateway is lightweight, enables authentication, filtering and validation, and a variety of other capabilities. We are investing in Zend Server Gateway to continue to round out its capabilities and ensure it is an easy and flexible way to build and deliver cloud services. 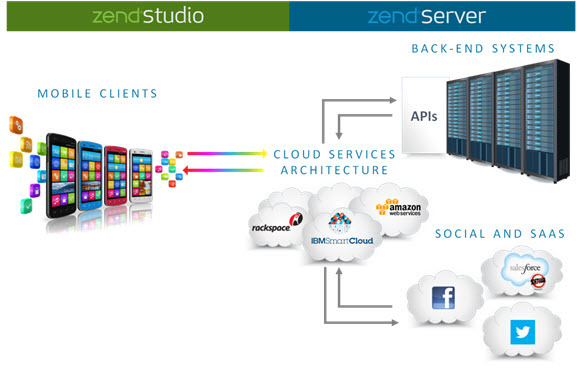 Zend Studio also enables the connecting of these cloud services to the client- side UI in a very easy manner (see more below). As mentioned earlier, the scalability and agility benefits of cloud make it the most appropriate back end delivery vehicle for a mobile-first strategy. Zend Server is pre-integrated with a variety of clouds including Amazon, RackSspace, VMware, IBM, Red Hat OpenShift and others. And we intend to continue to add additional support clouds, including Windows Azure and Google. 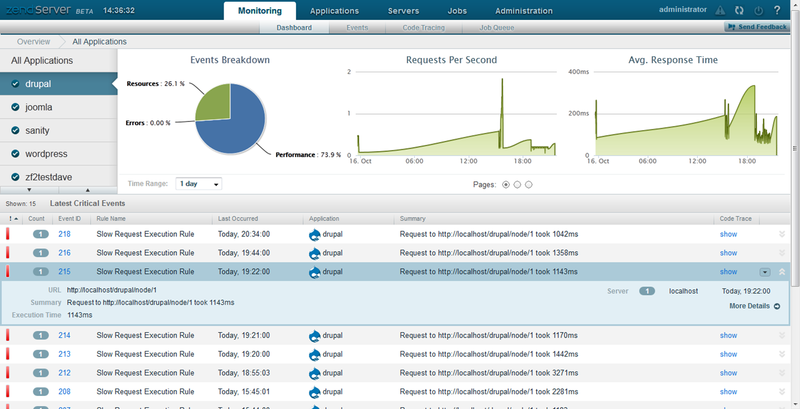 These cloud integrations enable one-click launch of our elastic PHP Cloud application platform. In order to meet the latency, scale and SLA requirements of cloud-connected mobile apps, Zend Server delivers fault tolerance, performance management, monitoring and alerting, and high performance. We also enable effective communication between development and operations departments via role-based access and automation, fostering a strong, agile, collaborative environment. We have also integrated Apache Cordova (a.k.a. 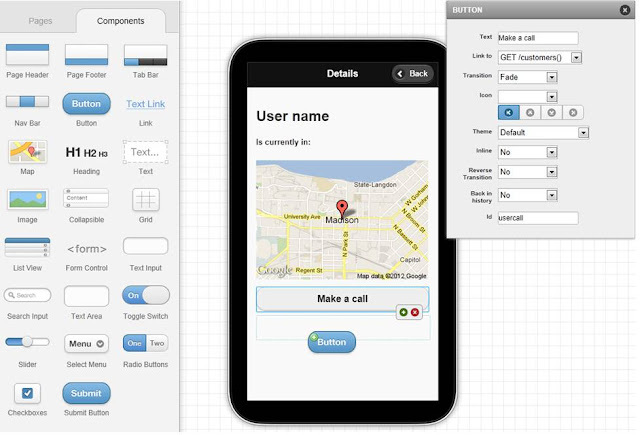 Phonegap) into our tooling experience. This will enable our customers to leverage open web standards technologies to build applications that have access to native device capabilities, such as the camera on a variety of OSs, including iOS, Android and Windows Phone. Applications packaged with Apache Cordova can also be distributed through the app stores. Therefore, you get all the distribution model benefits while being able to easily target multiple devices with your in-house Web developers. What you see is what you get. Tooling saves time by giving you the ability to quickly put together mobile prototypes that may have taken days to develop manually. The visual drag and drop tooling generates standard HTML5 and jQuery Mobile, so the output can easily be understood and modified by all Web developers. Developers can easily test their mobile applications using the provided Web mobile emulator. Integration with Android Development Toolkit (ADT), xCode (iOS) and Visual Studio (Windows Phone) enables a native emulator or target device experience, accessible directly from the Zend Studio IDE. In summary, Zend is committed to supporting your entrance into the new era of contextual applications, where mobile is cloud and cloud is mobile. We believe we have a unique capability to deliver a complete, highly productive, yet enterprise-proven solution to address the requirements of building and running business-critical, cloud-connected mobile applications. And we do this without locking you into any specific cloud or mobile device. Sound too good to be true? Give it a try! I’m pleased to share that Red Hat and Zend today announced a partnership and the immediate availability of Zend Server for Red Hat OpenShift. With this partnership Red Hat and Zend are joining forces to support professional PHP Cloud developers. A developer can now spin up a gear of Zend Server on the OpenShift platform as a service and instantly get access to a full ready to go enterprise class development environment. Even better, we’ve integrated this PHP platform as a service offering with Zend Studio, our industry leading IDE – meaning that a developer can deploy their app directly from Zend Studio to OpenShift in a few simple clicks. Red Hat knows what it takes to make open-source software Enterprise-ready. They have shown leadership by taking open-source technologies like Linux and KVM and invested in productizing and supporting those technologies to make them not just viable but a strong alternative for Enterprise customers. With the acquisition of JBoss, Red Hat also entered the application development space. I believe through that experience Red Hat has learned that truly enabling Enterprise app development requires not just a basic runtime but much more. It requires productive and high quality workflows that span the application lifecycle, strong development tools & frameworks and industrial-strength runtimes that include strong management capabilities, performance, scalability, reliability and support. Zend Server & Zend Studio bring to OpenShift PHP what JBoss brings to Openshift Java - an Enterprise-grade, end-to-end solution for building, deploying and managing business-critical applications. Or in other words – PHP done right for businesses. Even better, while Zend brings to the table a streamlined, industrial-strength way of doing PHP, Red Hat’s OpenShift streamlines a lot of additional application development requirements. For example, on OpenShift it is easy for developers to instantly get up and running with a Zend Server based environment in conjunction with the ability to instantaneously add additional components to their environment such as a MySQL or MongoDB server. It is the opportunity to focus the developers’ time on writing and debugging code as opposed to maintaining the development environment – which we at Zend make even more productive by providing great debugging tools and productivity enhancers as part of our Red Hat integration. With this partnership we are extending the deployment options for our customer base. Red Hat OpenShift has unique capabilities which we believe many of our customers will find beneficial. With Red Hat’s public statement of intent to also bring Red Hat OpenShift to private Cloud we will see even greater opportunity for this partnership given both Zend & Red Hat will both deliver a consistent environment and management capabilities for deployment of apps across private and public cloud. In two weeks from now we kick off ZendCon, our annual. Red Hat OpenShift is a major sponsor of the conference and will also be running a Hackathon at the conference. Zend also has a lot more news coming out at ZendCon around development of mobile apps and the next generation of our cloud management platform - much of it will also benefit the Zend solution on Red Hat OpenShift. So stay tuned and if you don’t have your passes yet then be sure to get them asap!